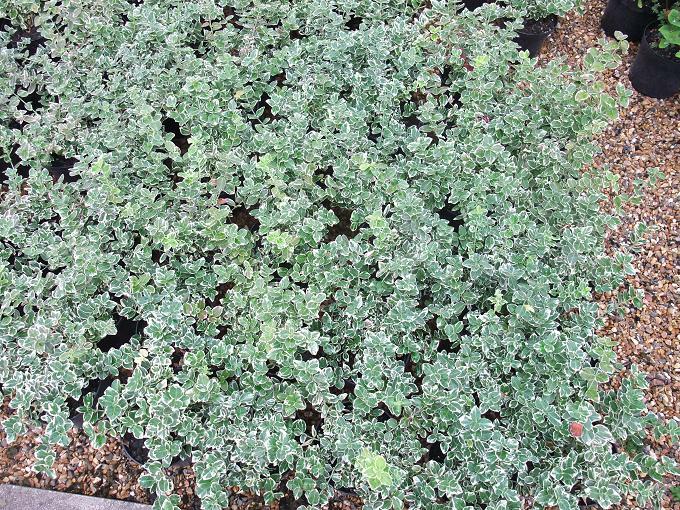 Popular cheerful ground cover shrub. 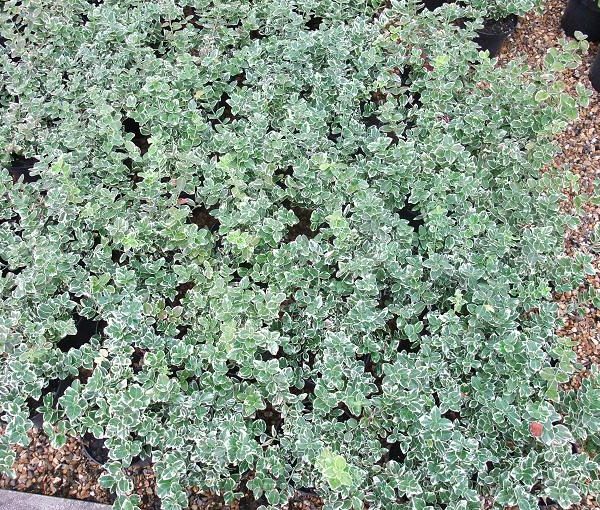 Popular cheerful ground cover shrub. 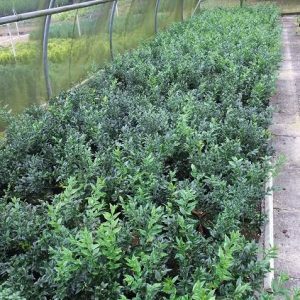 When planted at regular intervals will rapidly form a good covering. 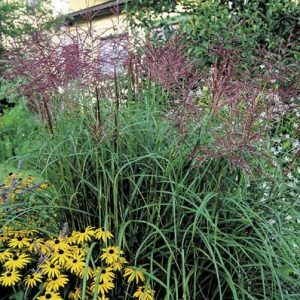 Also works well as a stand alone shrub and is very tough. Also quite happy in a pot. 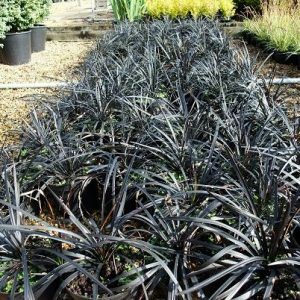 Evergreen, but during the winter a lot of the leaves will become infused with attractive pinks and reds, and these leaves will fall in spring, to be replaced by very bright young growth.